Angel . . . Angel, are you there?" you ask aloud. "Of course I'm here. I'm always here," replies Angel. Laughing together, you say, "My family has asked me to hand deliver some letters to a few businesses that are only a few blocks from home. You're always taking me on journeys. How about I take you on a journey this time?" 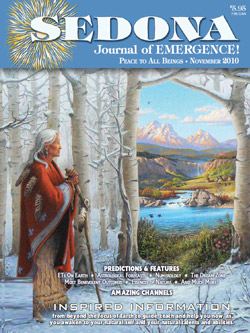 The full version of this Features article appeared in the November 2010 issue.